﻿ Dog Walking App Development - How to Turn Busy Dog Owners Into Customers? 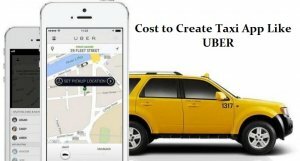 This article is for Entrepreneurs who want to turn the idea of dog walking app like Uber into reality and provide on-demand dog walking services to busy dog owners who can’t find time for their pets. Imagine this: You’re getting late for the date that you’re with your sister’s friend, but at the same time, your dog is also getting pretty desperate to take care of some business of his own. What to do? Situations like this happen all the time with busy dog owners. Cancel whatever they’ve planned for the evening? Or, go out anyway and leave their dogs left alone inside the home? Everybody knows how that could turn out. In this modern age, it’s getting more and more difficult for dog owners to find time for their pets due to tight work schedules. Moreover, many times it happens that something unavoidable comes up and dog owner needs someone to take care of his dog. Up till now, most pet owners used to ask their neighbours to take care of their pet on their behalf, but what if the neighbour is not available? This kind of situation is faced by many dog owners nowadays. That means it’s a common problem that needs a better solution. A solution that can help every dog owner to find dog walkers in their neighbourhoods within a couple of minutes. Does this type of solution really exist? It’s called dog walking app. A dog walking app is a smartphone application developed to aid dog owners for finding dog walkers whenever needed. In fact, there are already many dog walking apps available in the App Stores. We all know that many services, from ordering food to booking a hotel room, have been combined with mobile technology. And not so surprising for dog walking too. In fact, there are already a couple of dog walking app startups successfully providing dog walker app services in a different part of the world. Take Wag, for example. Launched in 2015, Wag is an on-demand dog walking, boarding & dog caring service provider. Wag started its services in LA & NY, prior to expanding its services into more than 100 cities in the USA. Recently, Wag has received $300M funding from Softbank Vision Fund & also hired Hilary Schneider to serve as company’s new CEO. 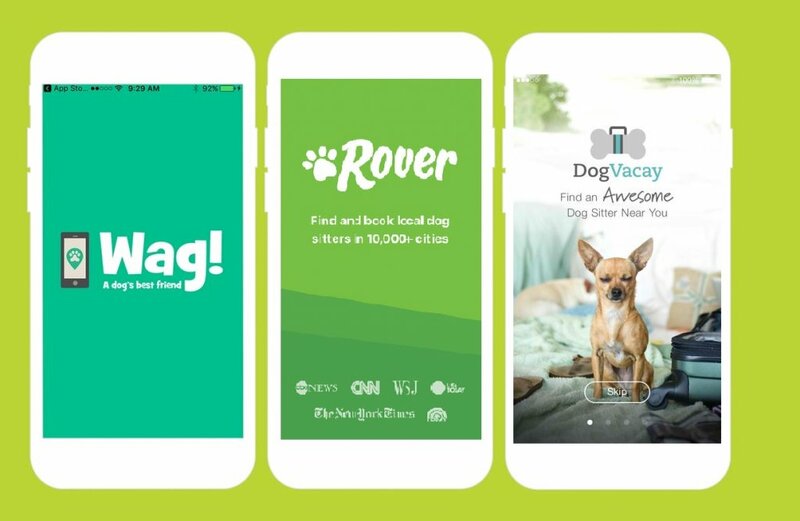 Apart from Wag, Rover and DogVacay are another two big players in the pet-care industry. While all of these startups provide the same services, but there are some key differences in the way they operate. Talking about one other successful dog walking app startup, Rover has raised a massive new round of funding with its announcement of a $155 million financing round, according to the latest news from TechCrunch. 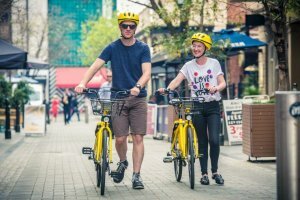 The application connects dog owners with different users that will walk, board, or generally take care of dogs. This service is mainly for those people, who might be travelling, or just work in a non-dog-friendly office. In contrast, Wag provides more of an on-demand experience where the startup first pre-screens dog walkers and sends whoever is available to walk a dog when a request comes in. In simple words, Wag operates more like Uber or Lyft, while Rover and DogVacay work similarly to Airbnb. How Your Dog Walking App Should Work? The idea behind a dog walking app is simple – Connect pet owners with dog walkers. Therefore, your pet walking app should be simple, transparent, and easy-to-use by both end-users a.k.a. Pet owners & Dog Walkers. Search Dog Walker: The pet owners can search dog walkers using the zip code search in your dog walking app. Meet In-Person: The pet owners should be able to connect with the dog walkers in their area to identify who is good for them, their dogs, and their lifestyle. Easy Scheduling: The pet owners can choose the days of the week on which his dog needs a walk and can also cancel anytime if their plan gets changed. In-App Payment: Cashless payment option should be added in your custom dog walking application. Profile: Every dog walker can create their own profile which can be discovered by the pet owners in the same zip code. Receive Requests: Dog walkers should be able to receive a request for dog walking jobs in their neighborhood. Time Availability: Dog walkers can add their time availability in their calendar. The signup process should be minimized and simplified by implementing social signup module in your dog sitter app. Pet owners can see the list of available dog walkers or dog sitter near their locations. They can view the dog walkers in a map view as well and they should be able to apply a filter to find dog walkers by distance to find a nearest available dog walker. Pet owners should see the full profile information of dog walkers. It should also show the info, services, and reviews of each dog walkers. Advanced calendar module feature can help pet owners and dog walkers to keep track of their dog walking sessions. Through in-app messaging, the pet owner and dog walker can chat with each other before booking process, as well as after. Pet owners can book the services when they need it. They can select the type of service (dog walking/dog sitting) and also choose the time during the booking process. Pet owners can see the dog walk start and end time. They can also view the routes of a walk with distance and personalized notes. Pet owners can pay to dog walkers with in-app payment options by their debit or credit card. 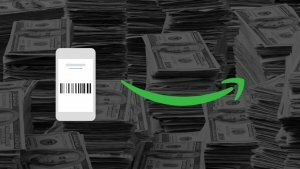 They can also view the invoice of payment in the payment process prior to paying. How to Make Real Money With a Dog Walking Application? Similar to Uber, Postmates, and Taskrabbit, your on-demand dog walking app can make real money with a simple commission-based business model. After each service given by a dog walker to a pet owner, you could charge a commission either from one end-user or both as a service fee. For example, Wag charges $20 for a 30-minute walk and $30 for an hour. After each dog walking session, Wag walker gets paid instantly, but the company takes a portion of the cut. The percentage of this cut is around 20-25%, this means a Wag walker, on average, gets $17.50 per 30-minute walk and remaining $2.50 is taken by the company. Similarly, in your dog walking app, you can go for a commission-based business model and charge a fixed amount of service fee for each walk session completed through your app. How to Get an Accurate Cost For Your Dog Walking App Development? 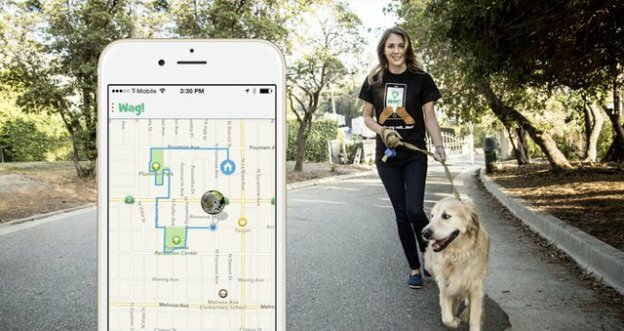 How much would it cost to develop an on-demand dog walking app? How much for the custom dog walking app for Android or iOS platform? How much do you charge for a full admin panel? Questions like these are common these days and we receive them every day. However, giving an exact cost without knowing all the requirements is quite challenging. The cost of developing a custom dog walking app depends on numerous factors. To estimate the project cost, we need the following details. So, if you’re really interested in dog walking app development, you can reach us by filling out the below form. Space-O Team will be glad to provide you with an accurate project estimate based on your specifications and requirements, with a detailed mobile app development roadmap. This page was last edited on April 15th, 2019, at 8:58. Want to Develop a Dog Walking App? Get Free Consultation Now!